MusicRow distributes its No. 1 Challenge Coin to the artists and songwriters who have achieved a No. 1 hit on the CountryBreakout Chart. These are some of the recent presentations. See the complete list of recipients here. The writers for Tim McGraw’s “Diamond Rings And Old Barstools” received their coins after the song went No. 1 on May 7, 2015. 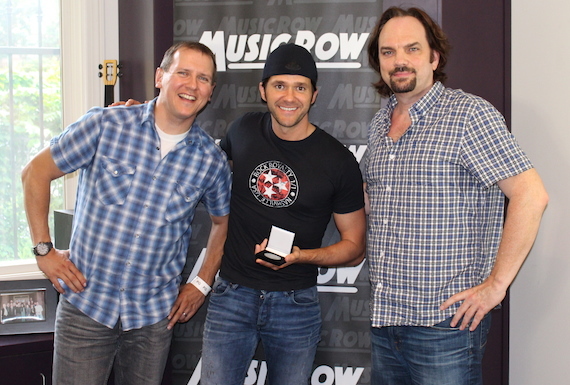 Songwriter, producer, and Luke Bryan’s band leader, Michael Carter receives his Challenge Coin for Bryan’s song “Roller Coaster.” It went No. 1 on the CountryBreakout Chart on September 11, 2014. 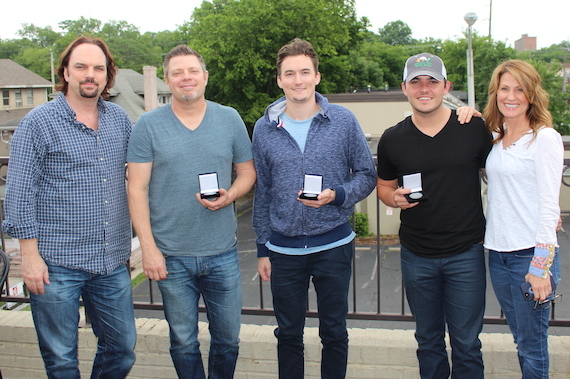 Pictured (L-R): MusicRow’s Sherod Robertson, Rodney Clawson, Matt Dragstrem, Cole Taylor, Hill Management’s Jeri Cooper. Florida Georgia Line’s “Sippin’ On Fire” hit the top of the CountryBreakout Chart on May 21, 2015. 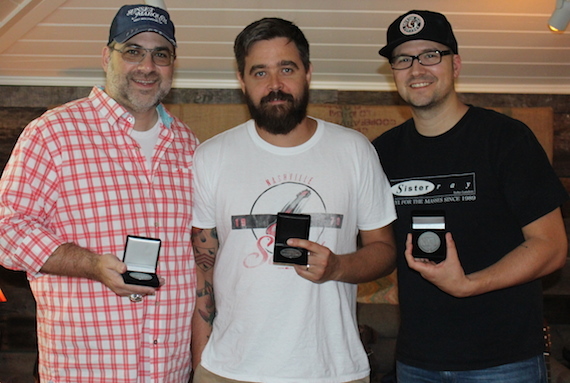 The songwriters accepted their coins at the Big Loud Shirt office in Nashville.